In the midst of all the RuPaul‘s Drag Race Season 7 mania, Season 6 contest Adore Delano has released her latest music video, ‘Jump The Gun,’ off of her debut album ‘Till Death Do Us Party.’ (Available on iTunes) This marks Adore’s 7th music video from this album. 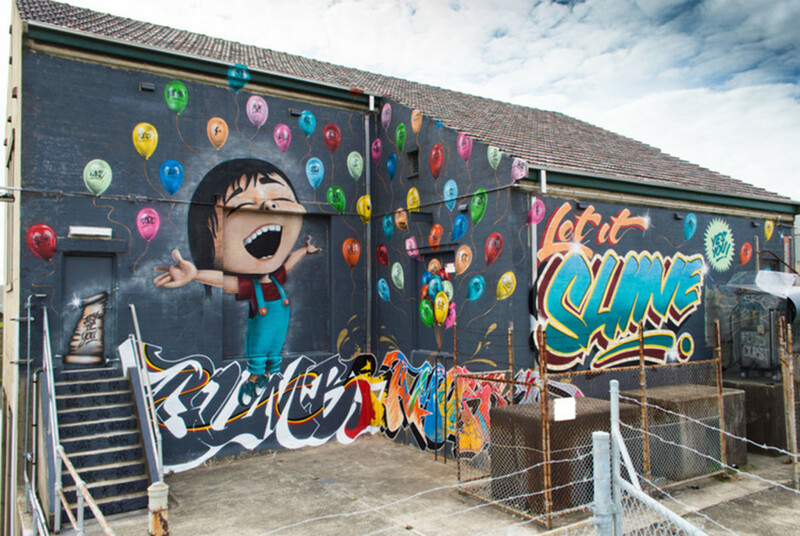 Scenes for this video were filmed across Sydney during her trip to Australia in 2014, with a few scenes being filmed in from of Sid Tapia’s ‘Let It Shine’ mural (pictured below). Additionally, Drag Race Season 6 finalist, Courtney Act, also joins Adore for a steamy hot tub scene later in the video. Let us know what you think of the new video in the comments below! Goshhhhh, I just love Adore so much. The video simply slays me.